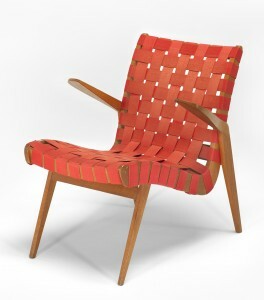 'Snelling line' armchair with hardwood frames and interlaced cotton webbing, designed 1946 by Douglas Snelling and manufactured by Functional Products Pty Ltd from 1947 to the mid 1950s. Donated to the National Gallery of Victoria by Terence Lane, 1981. For the past several decades, Douglas Snelling's reputation has depended on a questionable view that he was one of Australia's great designers of mid-century modern furniture. Examples of his 1946 'the Snelling line' chairs are held by all of Australia's major public archives of historic furniture (the National Gallery of Australia, Powerhouse Museum and National Gallery of Victoria) and are always included in serious furniture survey shows. 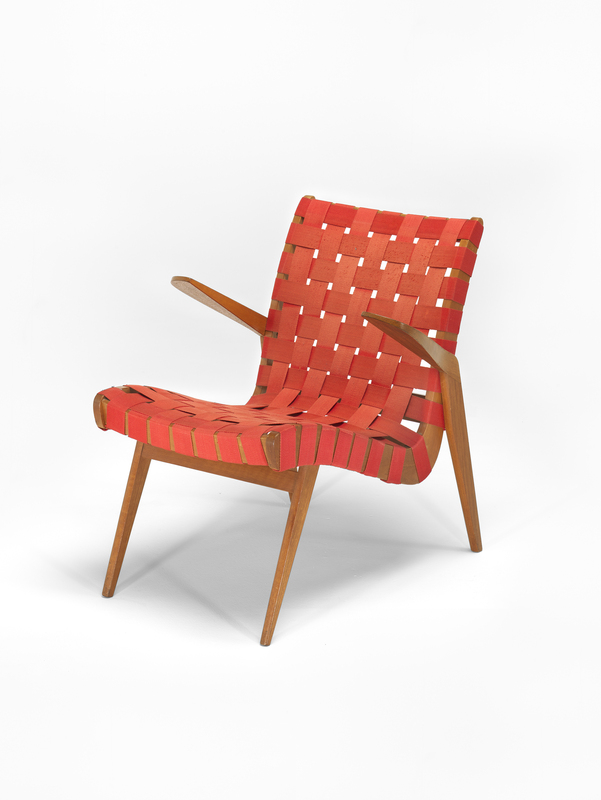 Another exhibition, Mid-Century Modern: Australian Furniture Design, is at the NGV 30 May-19 October 2014 and includes two 'Snelling line' chairs, along with others by Fred Lowen, Clement Meadmore and Gordon Andrews. These are dominated by an outstanding range of late 1940s to early 1960s works by Melbourne's Grant Featherston. Snelling's manufacturing partner, Terry Palmerston, and biographer, Davina Jackson, have claimed that 'the Snelling line' chairs, some first assembled in 1945 and all first launched for sale in 1946, were inferior copies of early 1940s United States copies (by Jens Risom and Ralph Rapson), of brilliant early 1930s steam-bent plywood designs by Finland's Alvar Aalto and Sweden's Bruno Mathsson. On his deathbed in the 1990s, Terry Palmerston talked on tape to his daughters Vicky and Sue about his firm's early productions of Snelling furniture: 'they were pretty rough'. He blamed shortages of materials, money and skilled tradespeople in the years after World War II. 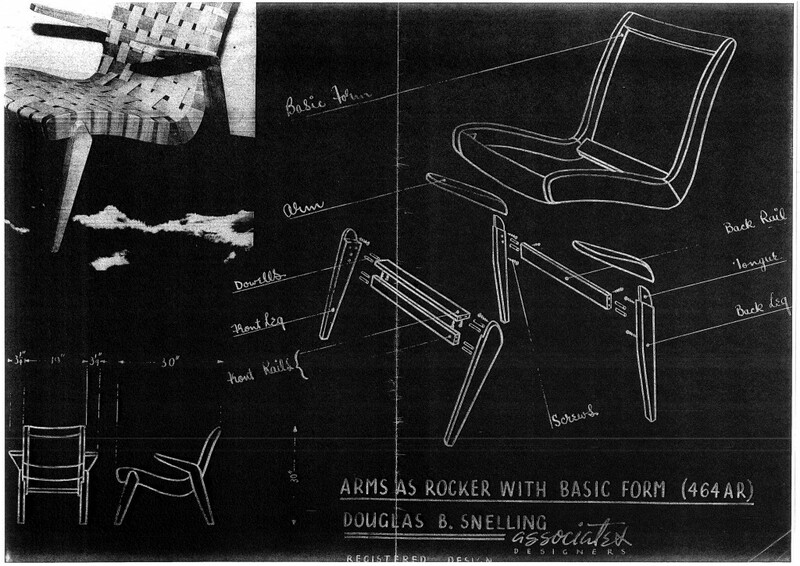 Copy of Snelling's mid 1940s blueprint working drawing for the 464AR armchair.